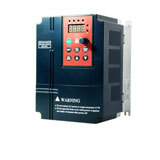 The purpose of using VFD solution is to optimize the energy saving and efficiency of the entire solution. The objective also to optimize the torque requirement at maximum point at any speed range. The important is to get the maximum saving energy and efficiency at the flow rate or process requirement. Therefore, if you using back an existing motor, once must check if an existing motor insulated winding able to withstand the peak voltage ripples switching from IGBT frequency from < 2500-3000 KHz that will not easily break the motor insulation winding. 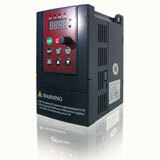 Peak line-line DC voltage, Vp will need to cross check by motor manufacturer before VFD solution is use. This is important specially for medium voltage motor. Besides, if using constant torque requirement, separate cooling radial fan at N-end or shifting the insulation characteristic from class B to F requirement of the motor must in your consideration.